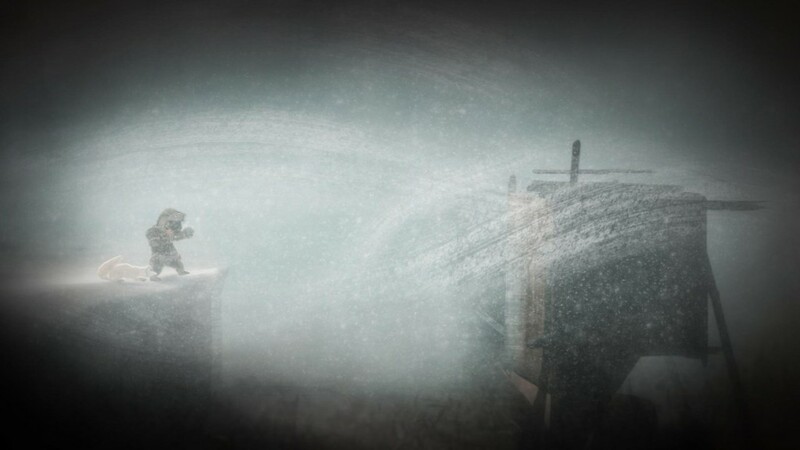 Never Alone, also known as Kisima Inŋitchuŋa (“I am not alone”) is an atmospheric puzzle platformer as it takes place in a harsh physical environment. Developed by Upper One Games its story is based around Alaskan indigenous folklore and restoring balance in “eternal blizzard” by visiting its source. The title also won a Bafta this year Best Debut. Hunting was a major part of life and a skill one needed in order to survive, especially in Alaska. Nuna an Inupiaq girl was a skilled hunter and at such an early age too. After a successful day out hunting and on the return journey home she was met with a strong and unrelenting blizzard, this sort of weather was common in these parts, but something didn’t feel right about this particular blizzard. Its sheer ferocity and the hazardous conditions brought on by it meant the village was now unable to hunt and with that the fear of starvation crept upon them. Determined to help her people and find the source of the blizzard Nuna awoke one morning and set out on her journey. Nuna was no stranger to the dangers the Tundra possessed and no sooner had she set out on her journey she came face to face with one such danger; a terrifying polar bear seeking its next meal. As if sent to her from a higher power she’s saved from the bear by a small Arctic fox. Nuna and the fox soon became friends and now accompanied her on her quest to save her village. Visually stunning is the only way to describe this game. Simplistic and stylistic cut scenes from beginning to end tell the story of Nuna and her journey, its two dimensional and monochromatic look are a nice contrast to the three dimensional side scrolling platformer the player has become accustomed to. As it is set in Alaska colours are limited but what the team do here they do right and the player is shown an environment in each chapter that never feels boring to look at. Throughout the game we are treated to Cultural Insights. These are small clips of footage containing interviews from the local community and environmental shots of the Alaskan landscape. 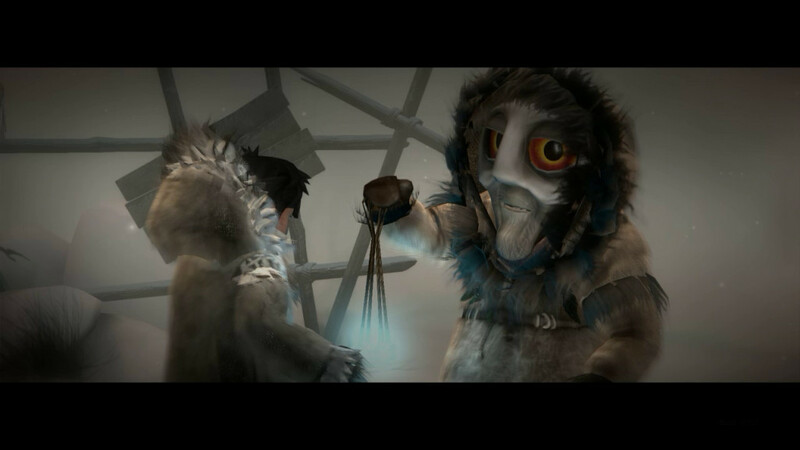 Each clip is only a few minutes long but through these clips the player can gain some knowledge on it’s people, traditions and environment, not only this, but some clips shed some light on Nuna’s journey and explain specific moments throughout the game. Never Alone supports co-operative play as someone can control the fox and the other Nuna, it can also be played in single player mode allowing the player to switch between the two characters at will while the games AI takes over to fill in. I unfortunately can’t comment on it’s co-operative play as I only managed to play it in single player mode and I think here is where I found a fault in this up til now fantastic little gem. The AI can be a let down at times. While in control of Nuna the fox remains stationary allowing Nuna to follow a certain path or complete a certain task while the fox waits, this is not the case when the roles are reversed and can lead to some frustrating play as Nuna continues to follow the fox when the player is in control of the fox. Other than that I couldn’t find anything else with this title. I thoroughly enjoyed playing this game along with learning what I could from the Cultural Insights feature. Never Alone is available now for the remainder of the month free with PlayStation Plus on PlayStation 4.